You Decide: Can Urban and Rural Areas Get Along? My wife and I have one foot in rural regions and the other in big cities. We were both born and raised in small towns – I in an unincorporated town (meaning it wasn’t big enough to qualify as an official municipality) in Ohio and she in a recognized town (but still tiny) in upstate New York. I have a vague memory of my mother pulling me in a little wagon to the country store for groceries. On the way home, the groceries were in the wagon and I would walk! 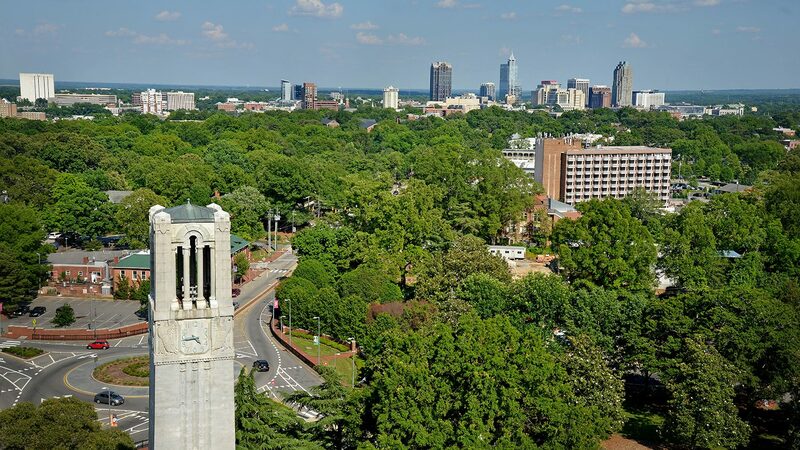 But we’ve spent almost the last forty years of our lives living in Raleigh since I joined the faculty at N.C. State in 1978. Although it may not have been when we moved here, Raleigh today is certainly a big city. Indeed, it is recognized as one of the most dynamic big cities in the country. My wife and I love both cities and the country. That’s one reason North Carolina is so great – it has both busy urban areas as well as tranquil rural regions. But often the urban and rural areas don’t seem to get along. For example, in the 2016 presidential election, urban areas tended to vote for Secretary Clinton while rural regions favored President Trump. We saw the same urban/rural split in the North Carolina gubernatorial and General Assembly elections. The urban-rural divide in North Carolina also extends to public policy. Here are two examples. Local public schools are partially supported by local property tax revenues. Since property values per resident are often higher in urban counties than in rural counties, there’s been a long-running debate whether this wealth disparity gives urban counties an unfair advantage in funding public schools. The second example is sales taxes. Part of the sales tax revenues collected by the state are returned to the counties, but there’s an issue over how to do this. Should the distribution to counties be based on where the sales occurred or where the buyers live? North Carolina has a formula using both factors, but there’s frequently a debate about the relative importance of each in the formula. Indeed, legislation was introduced this year in the General Assembly to change the formula. Has the urban-rural feud gotten worse? Some say three powerful forces – globalization, the elevation of education’s importance and population trends – have moved urban and rural areas farther apart in recent decades. Two of the largest traditional employers in rural North Carolina counties were textiles and furniture. However, trade treaties agreed to by the U.S. since the 1990s prompted a large share of these industries to relocate to foreign countries, and many counties have struggled to find replacements. At the same time, the opening of foreign markets has benefitted the largely urban-based technology and financial sectors. More businesses and industries are today requiring a higher level of formal education in their workforce. As a result, an increasing number of high school graduates are continuing their education at 4-year colleges and universities. Yet a two-part issue has emerged. The 4-year colleges and universities are often in urban areas. Plus, the jobs using that college education are also frequently in urban areas. The result is a “brain drain” of young people who leave their rural homes for a college education and a job and never return. The third reason – population growth – is really a result of the first two. With education and employment opportunities greatest in urban areas, and with the big cities having the restaurants, entertainment and airport access favored by businesses and young workers, population growth has been greatest in the urban counties. This decade, almost half of North Carolina’s counties – predominantly rural – have lost population. So can we do something to bring urban and rural counties together? As long as the three forces continue, public policy can only marginal impacts. The expansion of East Carolina University has certainly helped spark a tech and pharmaceutical complex around Greenville, but that’s hard to replicate everywhere. However, where options exist, one policy would be to always lean toward rural counties. I remember the late State Treasurer Harlan Boyles telling me it would be wise to locate all the state’s facilities that aren’t tied to a specific place in rural counties for the jobs they create. But perhaps the best way to bring urban and rural areas together is to make them aware of their economic linkages. Businesses in urban counties often purchase inputs from nearby rural counties. Also, many residents in rural counties daily drive to jobs in urban counties. North Carolina has a structure of eight multi-county “prosperity zones”, but they have no taxing power and little policy control. Maybe the state should consider expanding the zones’ capabilities to identify and develop linkages and mutual objectives in education and transportation. But right now, the economic winds are blowing in favor of urban regions. Yet a rural renaissance could come, based on agribusiness expansion, tourism, an influx of retirees and a revival of large-scale manufacturing needing big tracts of land. So – could tomorrow be different – will the prospects for urban and rural regions come together? You decide?